OSSSC Junior Clerk Admit Card can be downloaded from the official website of OSSSC from 12th January onwards. Odisha sub-ordinate staff selection commission had earlier notified a vacancy of 815 Odisha Junior Clerk for 3 different posts. All the posts are further divided into various circles. The admit card for the exam is available for the exam dated 28-01-2018. This a great oppurtunity for all the aspiring candidates. 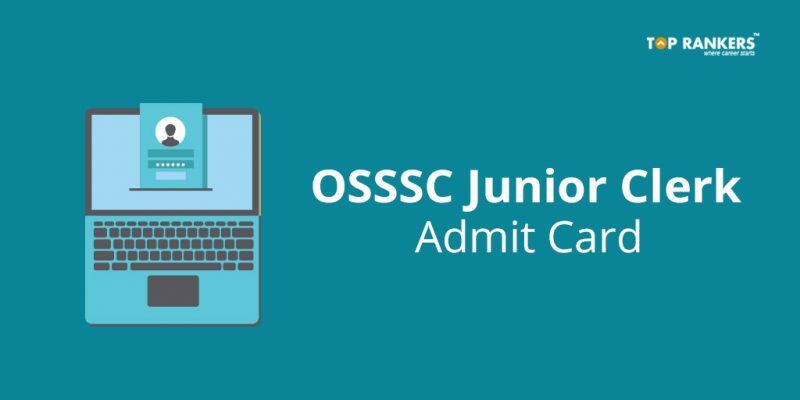 Down the article, you can learn about various details as well as you can find the direct link to download the admit card for OSSSC Junior Clerk Admit Card. The application was started on 31st July 2017. All the candidates who have applied for OSSSC Junior Clerk Examination can find all the upcoming dates related to OSSSC Junior Clerk recruitment. OSSSC had announced recruitment for 815 Odisha Junior Clerk for 3 different posts. Below is the breakdown of vacancies with respect to posts and their circle distribution. All the applicants need to have a minimum age of 18 years and a maximum of 32 years. Candidates aspiring to join OSSSC as a junior clerk need to posses 10+2 or equivalent from any recognised board. Aspirants will be hired on the basis of their performances in Written Examination. Written Examination will be conducted by the Odisha Sub-Ordinate Staff Selection Commission. Log on to the official website of OSSSC. Scroll down to the recruitment news section. Click on Download admit card for junior clerk 2017. Select post, Date of birth and the mode of logging in. Now Click on Download and a new page will appear on the screen. Candidates will not be entertained without Admit Card on the day of Examination. Stay tuned for more Exams related notifications. If you have any query or suggestion, Do write us in the comments below.